Have you wondered how to make a fairy garden? Or maybe you are interested in different fairy garden ideas. A fairy garden is such an easy but enjoyable project to create with children. We made one at home by painting a terracotta pot, filling with soil, planting some small flowers, and then finally decorating with some pebbles and a fairy. It didn’t take long at all to complete and my girls had a blast making it, so much so that I am sure we will me making more fairy gardens in the future. 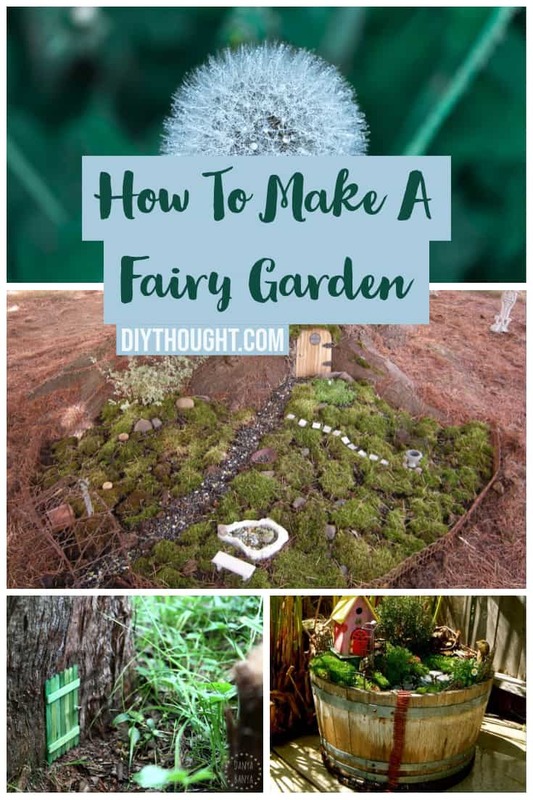 I have found some examples of different fairy gardens to try, a short video tutorial which shows you just how easy it is to make a fairy garden and tutorials on how to make a toadstool and fairy door to complete the fairy garden of your dreams. I love this video as it shows you exactly how to make a fairy garden. 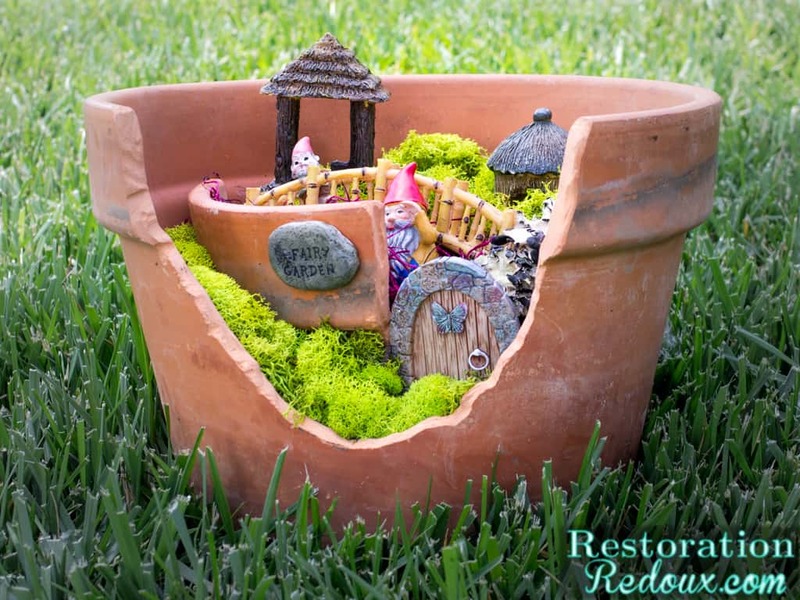 This is a simple fairy garden in a pot that anyone is able to create. 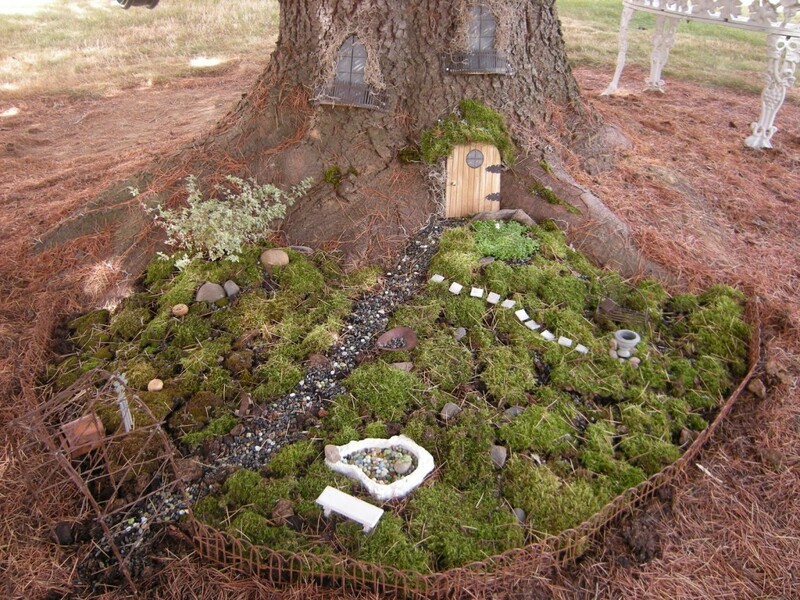 A magical fairy garden at the base of one of your trees. I love the little fairy stepping stones as well as the addition of the tree windows. Click here for more inspirational photos. 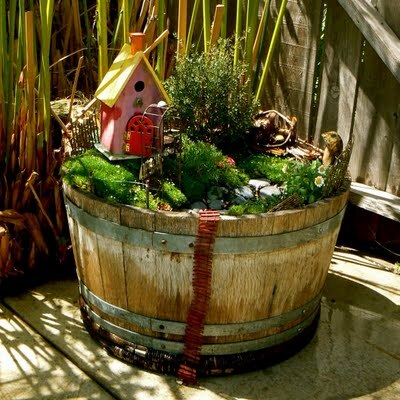 Included here are detailed instructions on how to recreate this barrel fairy garden. All the finer details that need to be considered (such as plant choice) are written about in the tutorial so it is worth a read. My favorite thing in this fairy garden is the little fairy pond. There is no need to throw out broken pots when you could make it into a fairy garden. Click here for the full tutorial. 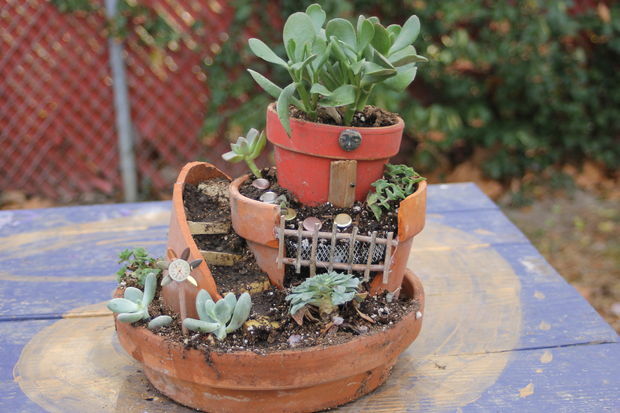 This is a great broken pot fairy garden using store-bought decorations. Decorations like these are readily available online, at bargain stores and often at garden centers. Visit Restoration Redoux to find out more. 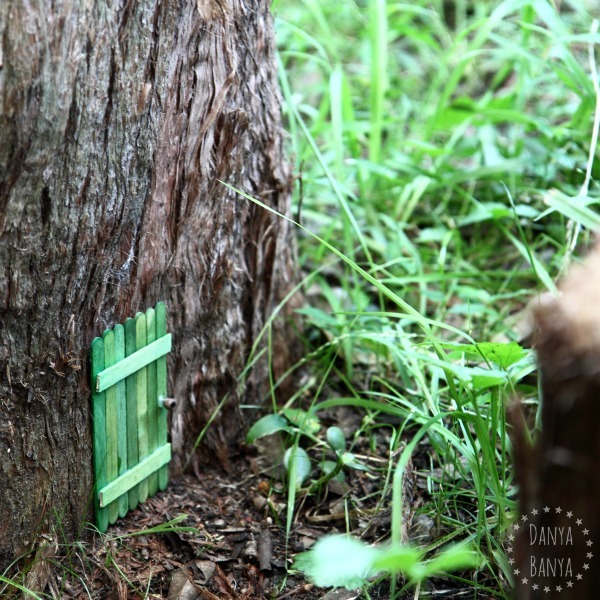 How cool are these fairy doors! So simple to make you could make a variety for the trees around your house or put one in your potted fairy garden. Find out more here. 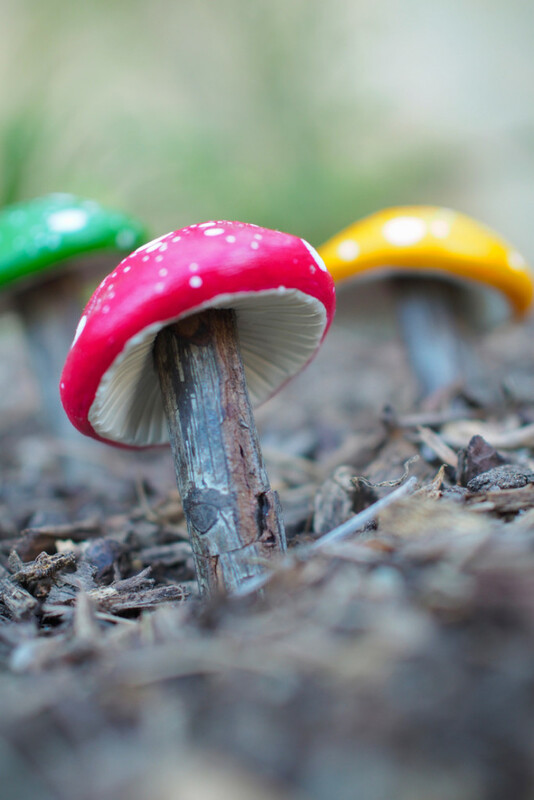 Make your fairy garden complete by making one of these fairy garden toadstools. Fairygardens.com has both a video tutorial and step by step instructions.